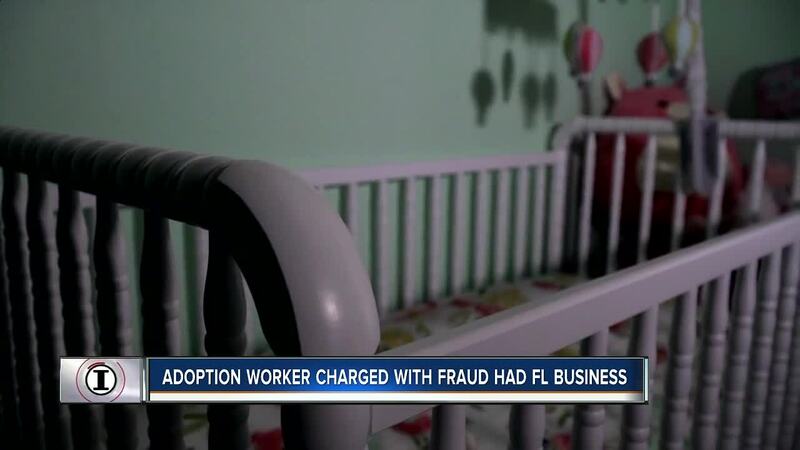 A woman described as doing adoption work in Florida is facing wire fraud charges in Michigan for allegedly scamming birth mothers and prospective adoptive families. A Michigan woman accused of preying on couples desperately seeking a family of their own, operated a similar business in Florida, a former employee tells ABC I-Team Investigator Katie LaGrone. Tara Lynn Lee, 37, was charged in Michigan with wire fraud on Friday after FBI agents says she promised the same baby to multiple families and in, some cases, promised a baby that didn't even exist. "The allegation is, this is all a scam of adoptive parents, purported adoptive parents. People who want to adopt a baby think they're going to go through a legitimate adoption process and in the end there's no baby and there's no process," said U.S. Attorney Matthew Schneider for the Eastern District of Michigan. Former employee, Alexandra Spadea, says Lee made the same promises to families while she operated a similar business in Florida. "There were families we charged $15,000 sign on fees just to be shown a birth mom and we didn't have any birth moms," Spadea told us recently. Florida business records show between 2015 and 2016, Lee operated Always Hope Pregnancy and Education Center in Jacksonville. Spadea first met Lee when Spadea was pregnant and looking for a family to adopt her own son. Spadea says Lee handled every aspect of adoption from recruiting expectant birth moms to matching their babies with prospective adoptive families. Shortly after Lee found a family for Spadea's son, Spadea started working for her as a birth mom coordinator in her Jacksonville office. "I walked them [birth moms] through the experience. Being there for them during the high and lows since I had just gone through it, she said. But Spadea grew suspicious when she saw bank statements about money she thought was earmarked for expectant birth mom expenses being spent by Lee, on Lee. "Jewelry, flights, shoes. Receipts for $200 shoes. Within the same week we had a birth mom with her lights off, within the same week we didn't have payroll. I mean, it just doesn't make sense," said Spadea. Spadea never reported her concerns to Florida authorities. We've confirmed Lee was never investigated by the Department of Children and Families in Florida which oversees adoptions, but according to the Michigan criminal complaint first reported by Scripps station WXYZ in Detroit, FBI agents described how, "Lee collects payments from adoptive parents ranging from $10,000 to $33,000 with additional payment due at the time of adoption. On some occasions, Lee informs two sets of adoptive parents that birth mother has chosen them and collects payments from both." In other cases, according to the criminal complaint, Lee could make "fabricated matches," meaning the expectant birth mother wasn't really pregnant or didn't exist. "There's really just no way for them to know if this type of thing is happening," said Renee Gelin, President and Founder of Saving Our Sisters , a national non-profit dedicated to educating expectant birth mothers and families who are considering adoption. She said even in the world of adoption, anyone can become a victim. "It's really wide open and very unregulated. It truly is buyer beware," she said. Alexandra Spadea said Lee fired her after about four months on the job. After witnessing Lee's operation as both a birth mother and employee, Spadea said she is relieved to hear Michigan authorities are taking action. "I'm happy. She deserves it. I think she should have to pay back every dime to each one of these families." Lee's attorney told WXYZ his client did not violate any laws. Michigan authorities are continuing to investigate Lee's actions and is encouraging anyone with information about Tara Lynn Lee or her organizations, including but not limited to, the Always Hope Pregnancy and Education Center to call 313-965-2227.